You've probably heard that Guinness tastes better in Dublin (fresh from the factory), but what you may not know is that Dublin is a perfect destination for the whole family. No, we're not suggesting you let the kiddies drink a pint. 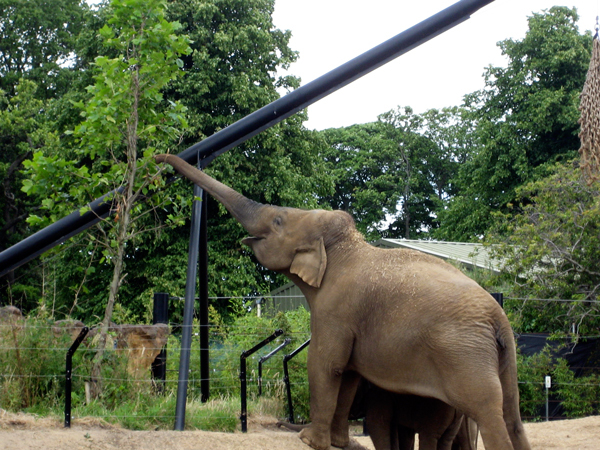 Instead, take them to the Dublin Zoo, to feed the ducks in Stephen's Green or on a picnic in Phoenix Park. Scholars enjoy walking in the literary footsteps of such writers as Yeats and Joyce, while discerning shoppers have their pick of designer boutiques. 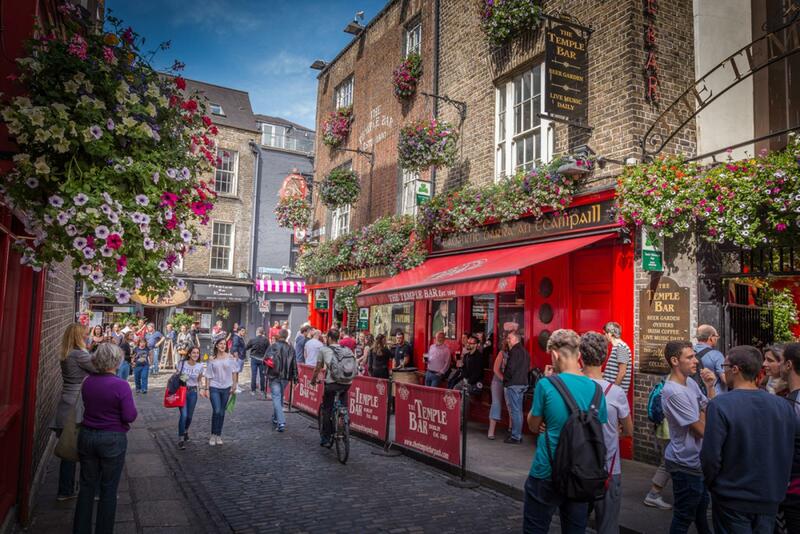 Dublin is delightful year round with many Irish festivals year round, especially St Patrick's day in March, Although the weather is best in summer. Getting around the Dublin area is easy. Jump on the coastal train, the DART, to discover the beautiful towns and villages dotted along the coast, or use the extensive public bus network or the Luas tram system to get you out to the suburbs too as well as bicycle hire throughout the city! If you are here for a few days then the best value across bus and rail options is the Leap Visitor Card. Although Dublin is an amazing city, don’t spend all your time there, Ireland is one of the most beautiful countries in the world and to really see Ireland you need to leave the City, go see the spectacular scenery of the Irish coasts. Mainly English, although you might hear a bit of Irish. 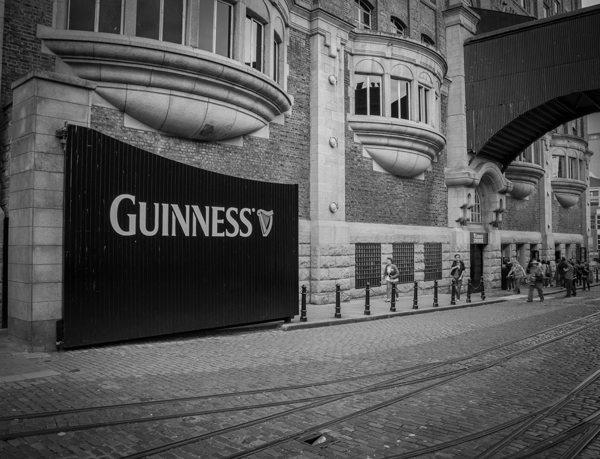 What better place to begin your Dublin adventure than the city's number one attraction, the Guinness Storehouse. Located in the heart of the St James’s Gate Brewery and home to the black stuff since 1759, this massive seven-storey building, a former Guinness fermentation plant, has been remodelled into the shape of a giant pint of Guinness. A visit will teach you everything you ever wanted to know about this world famous beer. The highlight for many visitors is the Gravity Bar where they receive a complimentary pint of Guinness and a chance to relax and enjoy the breathtaking 360-degree views across Dublin City. 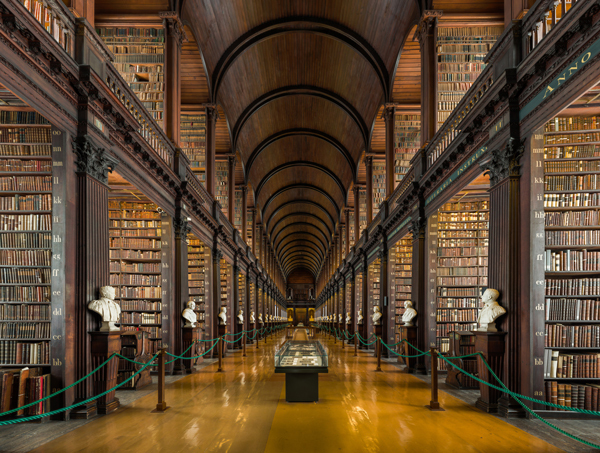 Dublin’s Trinity College Library isn’t only the biggest library in Ireland but one of the most eye catching in the world. With over 5 million printed volumes reflecting more than 400 years of academic development. The most famous of its manuscripts, the Book of Kells and the Book of Durrow written around the year 800 AD and is one of the most beautifully illuminated manuscripts in the world. It's 680 pages of vellum contain the Latin texts of the Four Gospels. Located on the south bank of the River Liffey in central Dublin, Unlike other parts of Dublin's city centre, it is promoted as Dublin's cultural quarter and has a lively nightlife that is popular with tourists. 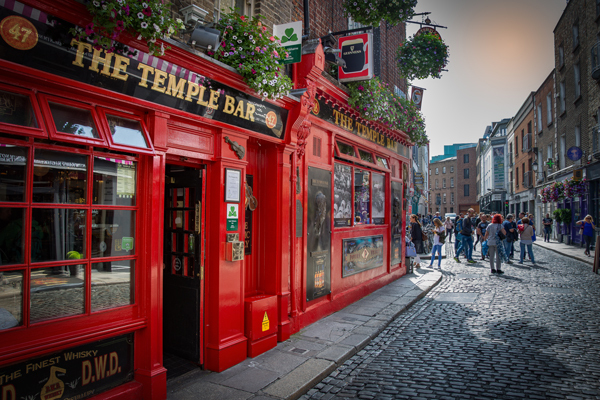 Popular venues include The Palace Bar, The Temple Bar Pub, Oliver St. John Gogarty's and The Auld Dubliner (fine boys bar). 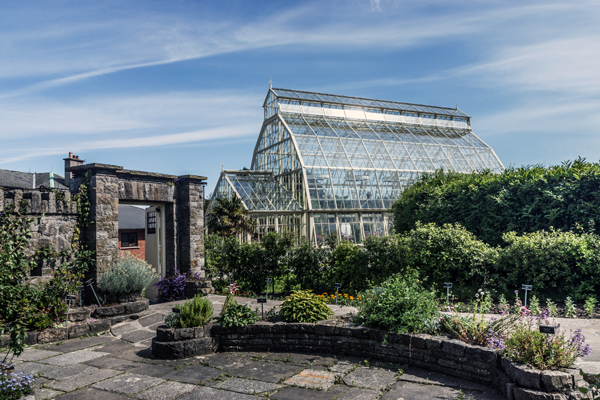 Located on the south bank of the Tolka River, the National Botanic Gardens is a great place to have a picnic and explore the exquisite gardens. 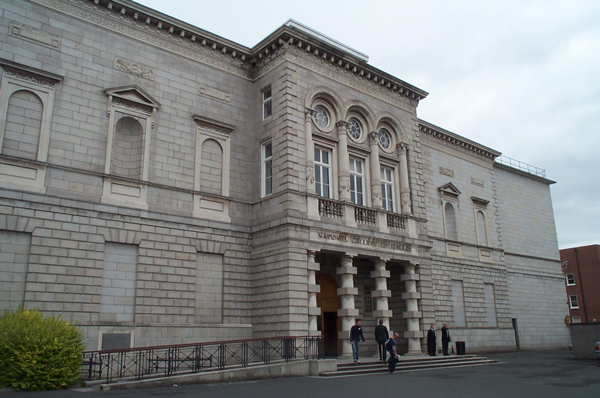 Today the National Gallery of Ireland's collection includes over 2,500 paintings and some 10,000 other works in different media including watercolours, drawings, prints and sculpture. The gallery's highlights include works by Vermeer, Caravaggio, Picasso, Van Gogh and Monet. 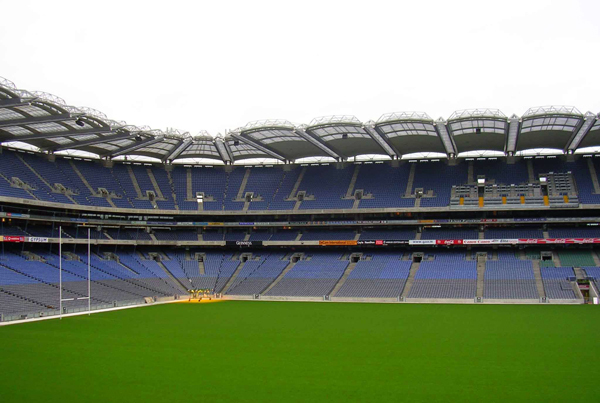 Gaelic football and hurling at Croke Park are an unusual and essential experience for those with even a modest interest in sport. On match days, make noise on the Hill 16 terrace cheering on the sky blues of Dublin. Opening Hours: Mon-Sat 0930-1700, Sun 1030-1700 (Jan-May and Sep-Dec); Mon-Sat 0930-1800, Sun 1030-1700 (Jun-Aug). 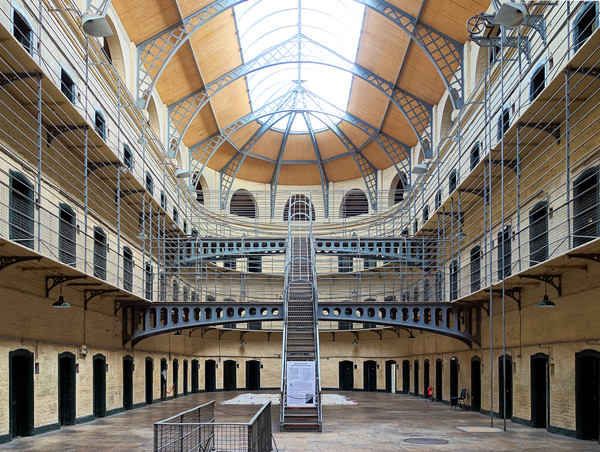 A former prison that housed the leaders of failed uprisings against the British from the 1780s to the 1920s, this museum gives a detailed insight into Ireland’s political history and includes the site of the execution of 14 members of the Easter Rising in 1916. The history of the prison itself is also explored. Access is by guided tour only. 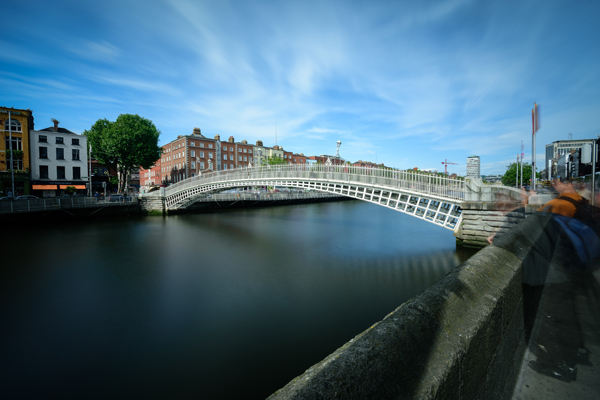 The Ha'penny Bridge, known later for a time as the Penny Ha'penny Bridge, and officially the Liffey Bridge, is a wonderful pedestrian bridge separating Dublin’s city centre and a popular love lock bridge. Bus, train (DART) and Luas (tram) from the main transport infrastructure in Dublin, though only the bus makes its way out to the airport. The Luas is quick and modern, but best for commuting and short city-centre hops. Dublin Bus is far more extensive and easy to use thanks to sign upgrades and the handy Dublin Bus app. 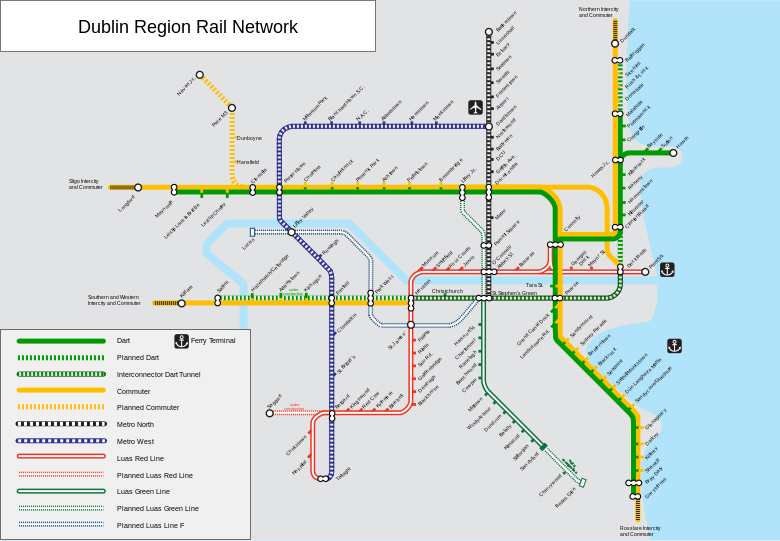 For travel to the coast, local train services via the DART are frequent and efficient. Most public transport options don’t run late at night, so you need to make alternative arrangements after midnight. You can pay for a bus, Luas, DART and suburban rail services using a Leap Card, available online or at 400 Payzone outlets across the city. You load the smartcard with money and the fare is deducted each time you travel, with daily and weekly caps and savings on cash fares. A Rambler card (which you can also load onto a Leap Card) allows five or 30 days of unlimited bus travel. Taxis sit on almost every street corner in Dublin. Well-established companies like Eight Twenty Cabs and NRC are safe bets, while the Hailo app is a popular option. A nightlife ‘rush hour’ at around 3 am invariably leads to long, expensive rides at weekends. Tips are typically in the 10% range. While driving in the city is generally safe, rush hour traffic (0830-0930 and 1645-1800) can see aggressive driving. Dublin features a somewhat confusing one-way system, based on single-direction traffic along the quays. Outside the city centre though, driving is relaxing and comfortable. The city’s ring road, the M50, has a camera-based toll that requires online payment within 24 hours. Street parking is limited in the city centre. The city’s main car parks, with various hourly rates, are Arnotts, Middle Abbey Street, and Brown Thomas, Clarendon Street. For street parking, kerb side pay-and-display meters are standard. While busy times of day can be less than pleasant for nervous riders, cycling is a great way to get around. Dublin Bikes offer a city-wide bike share scheme with lots of central hubs to collect and deposit bikes.